You care about your brand and so do we! When you partner with Alberta Ballet, you are connecting to an engaged audience of loyal arts enthusiasts. Tap into Alberta Ballet’s passionate audience and expand your brand awareness to the arts community across Alberta. Alberta Ballet has branding opportunities that appeal to a variety of businesses and industries. Throughout our season (September to May), Alberta Ballet welcomes more than 65,000 patrons into performances in our twin home cities – Calgary and Edmonton. In the 2017-18 season, Alberta Ballet audiences grew by more than 25,000 patrons. Our growing community offers increased visibility to achieve your branding objectives. As Alberta Ballet's Official Diagnostic Imaging Partner, Canada Diagnostic Centres is committed to detecting, monitoring and maintaining the well-being of our dancers. The"Look Inside" campaign gives fans a backstage view of the lives of Alberta Ballet's professional dancers with customized content created for Canada Diagnostic Centres. As a Vehicle Sponsor, Porsche Centre Calgary enriches their brand experience by showcasing their vehicles on-site at the Jubilee Auditoria. Patrons engage with Porsche Centre Calgary on-site and through social media with contest opportunities and more. 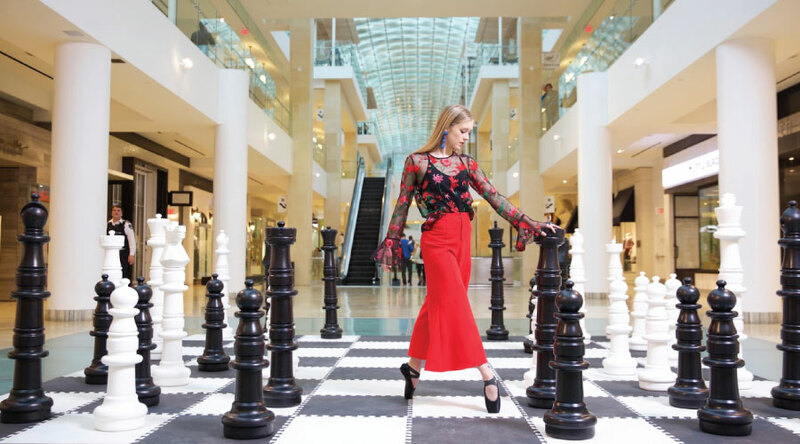 The CORE Downtown Shopping Centre featured Alberta Ballet dancers, Laura Vande Zande and Hikaru Osakabe, as models in their “What to Wear” campaign photoshoot. These photos were used in Mall Directory Advertisements and Alberta Ballet playbill advertisements.